You will never find a more convenient wallet than this one! 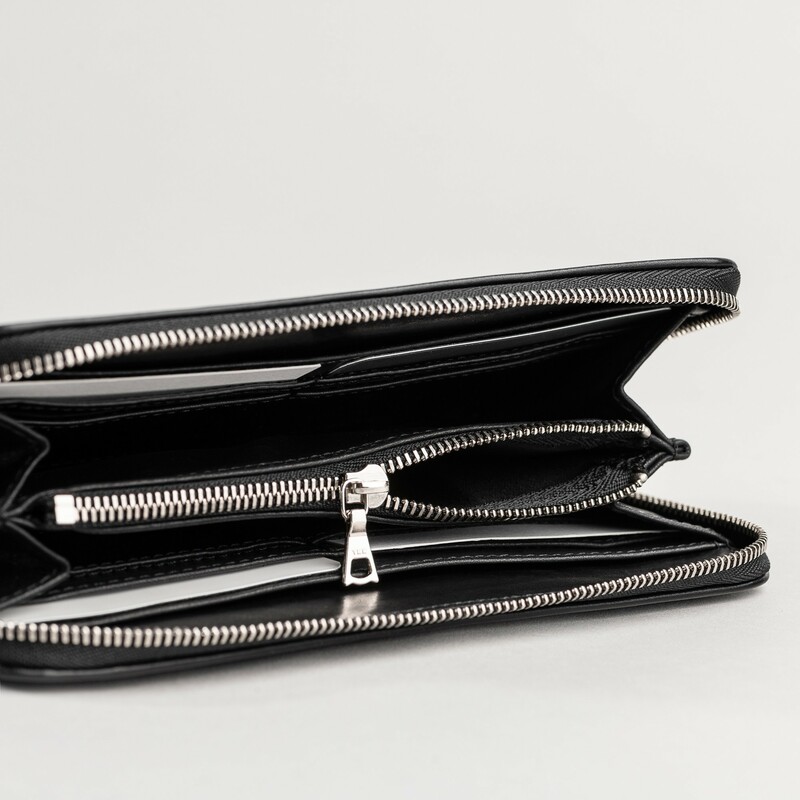 The zipper opens on three sides and both ends are closed by gussets to ensure everything is kept in place. 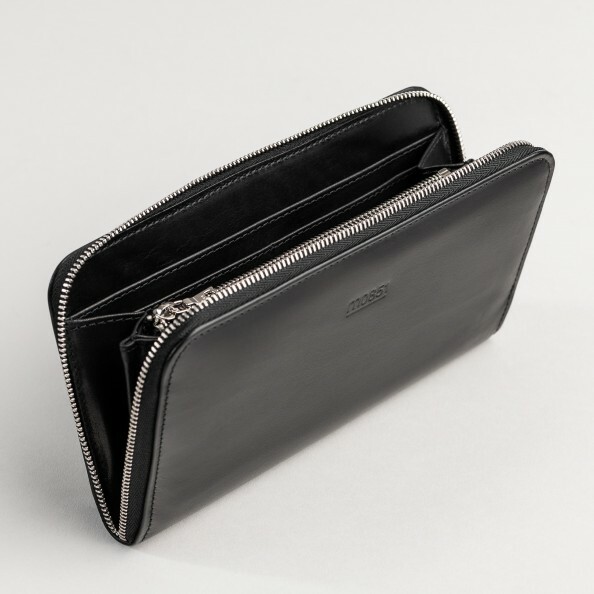 Inside, a central zipped pocket for coins, 4 card slots and 1 bill compartment on each side, and room to fit your smartphone! 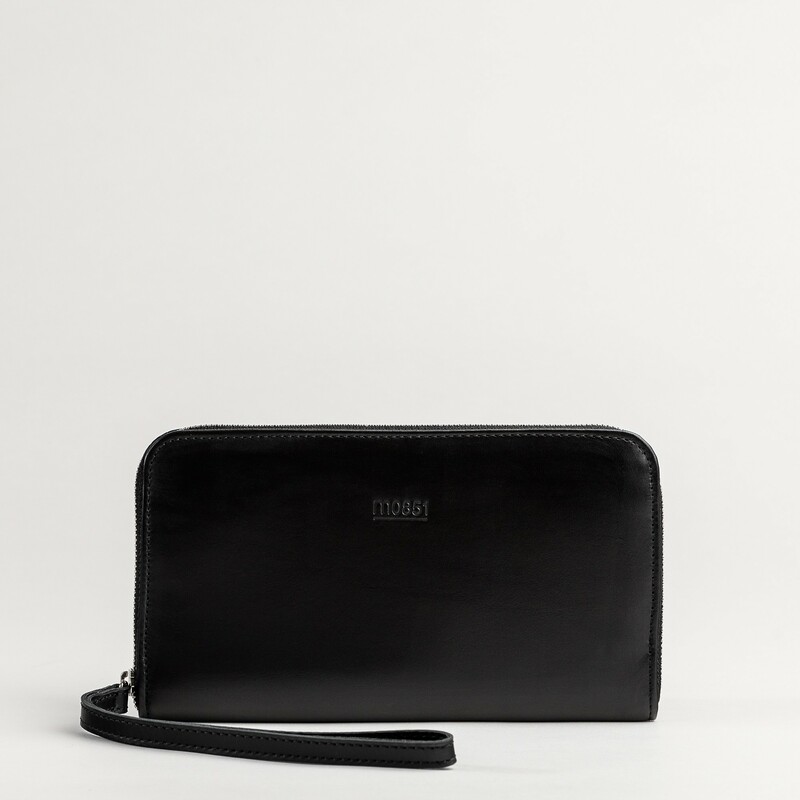 Easy to open with the leather wristlet, it can even be worn as a small clutch.